Our children have one hour of Physical Education (PE) weekly with a subject specialist and in addition to this, Reception have an additional half hour of Music and Movement and our older children in Upper Kindergarten (Year 2) have an extra hour of Games, also with a subject specialist. There are extra-curricular clubs available from Reception such as Multi-skills, Gymnastics, Yoga and Dance , with Hockey club for Upper Kindergarten. Our children take part in the Junior and Kindergarten Sports day in the summer, where adults and children alike enjoy a fun and competitive afternoon of races. Art is a great favourite for our children in Kindergarten and they are given many creative opportunities during each week. As well as an hour’s specific Art lesson for Lower and Upper Kindergarten children, there are many creative links to all curriculum areas. All pupils from Reception upwards have an hour of Design and Technology where they learn to plan, make and evaluate a product. Creative activities to encourage mark making and moulding such as play dough and finger painting are always available to our Early Years Foundation Stage (EYFS) Reception pupils. There is also a lunchtime Art club for Lower and Upper Kindergarten. 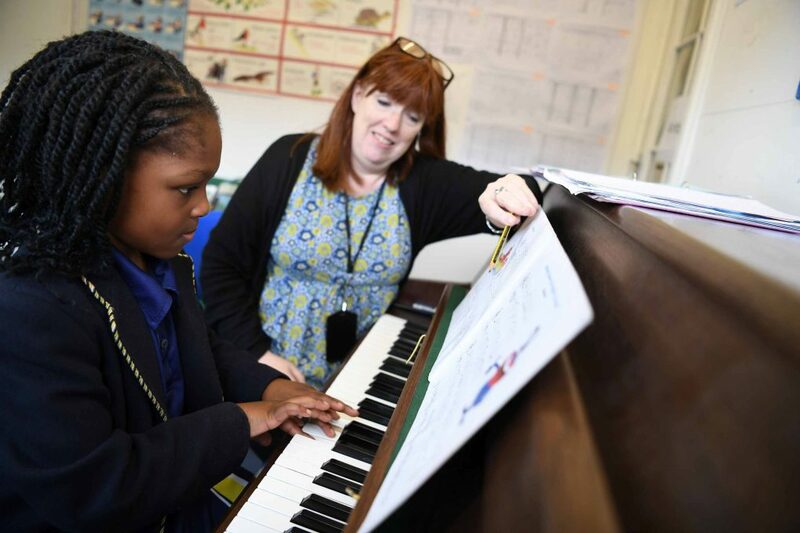 In Music, our Kindergarten children all enjoy a half hour lesson of Music, plus an additional half hour of singing with a specialist teacher. Upper Kindergarten take part in the annual Billericay Schools Music Association (BSMA) Music festival, where local schools join to perform a concert to parents. There are many other opportunities during the year for the children to practise and perform their musical skills, such as during assemblies, the Harvest Festival, Christmas play, the Spring Concert and House Music competition. There are also private and group music lessons available in a wide range of instruments such as the recorder, violin, guitar and drums for children from Upper Kindergarten (Year 2).